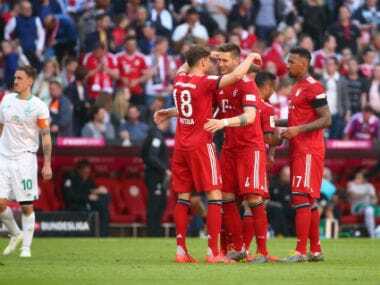 Berlin: Kevin-Prince Boateng fired Eintracht Frankfurt to a 2-1 victory over RB Leipzig on Monday in a game overshadowed by protests against the introduction of Monday fixtures in the Bundesliga. 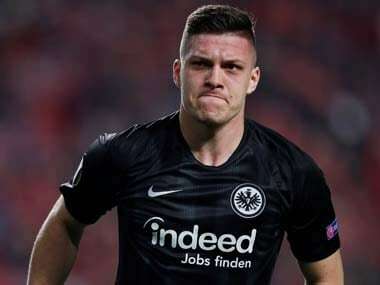 Frankfurt turned a 1-0 deficit into a 2-1 lead in the space of four minutes in the first half, securing victory over their top six rivals and climbing to third in the table. "We want to stay up at the top," Boateng told Eurosport. "If we get to Europe, it will have been an incredible season." Having started the weekend in second, Leipzig dropped to fifth. 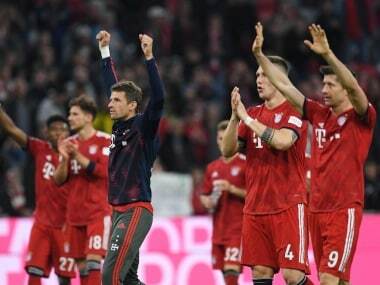 The game was the first of five Monday fixtures to be scheduled this season, a development which has invited fierce criticism from fan groups across Germany. Kick-off was delayed by four minutes as Frankfurt fans were allowed into the area between the stands and the advertising boards to protest. "As a Bundesliga club, we have to accept this and be able to deal with protest culture," Frankfurt board member Axel Hellmann had told regional television station Hessische Rundfunk in the build-up to the match. Banners were raised reading "Eintracht says no to Mondays" and "the street takes football back". The game began to boos, and the fans maintained a chorus of whistling throughout. With 12 minutes played, Konrad Laimer launched a darting run into the box to set-up Jean-Kevin Augustin who swept in the opener for Leipzig. Ten minutes later, Timothy Chandler got the better of Laimer at the far post to stab home the equaliser for Frankfurt. Even when Boateng fired Frankfurt in front on 26 minutes, the celebrations remained muted as the protests continued. Leipzig were awarded a penalty on the half-hour mark, only to see the decision reversed by VAR. The second half was also delayed as Frankfurt fans launched toilet paper and tennis balls onto the pitch. "It is obviously not a normal evening, but everything unfolded peacefully," injured Frankfurt forward Alex Meier told Eurosport. Protests are set to continue next Monday, with fans threatening to boycott Borussia Dortmund's home game against Augsburg. 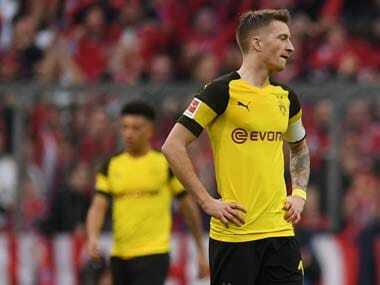 "We need to have a discussion as to whether we really need games on Monday," Dortmund CEO Hans-Joachim Watzke told newspaper FAZ earlier this month.